It is overwhelming how many options when you’re thinking where to stay in Ubud (that’s in the heart of Bali, Indonesia, btw). So much to choose from online and even more offline – there’s still many places that cannot be booked online, you need to call them, write them directly or just walk-in. I was looking at three options that I’ll share with you and only one was available and I couldn’t have wished for a better place to stay. Below are 3 great places for $30-ish per night. The first one was recommended by a dear friend. It’s called the Payogan Homestay. She said it’s great and peaceful. The owner was very nice in his reply and even offered his help to look for another place or with a ride to Ubud even though he was fully booked for the dates. I would love to go again just to stay there for a couple of days. The other place was very new and the owners call it Sweet and Simple room :-) But also booked. So lesson one when booking a stay in Ubud: book well in advance if you want to get most of your experience! 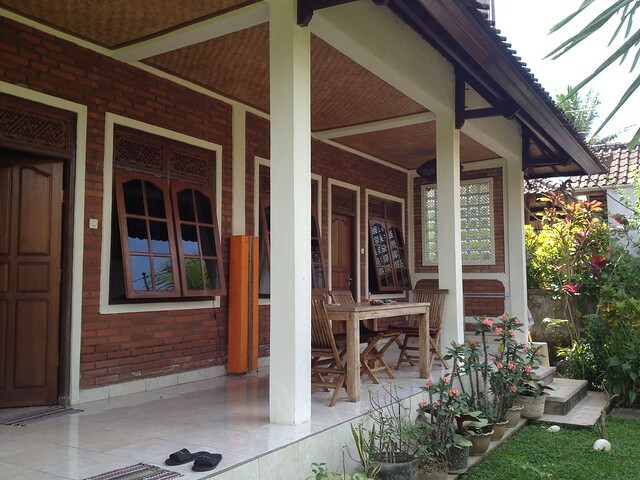 And finally the place we stayed at – Peaceful guest room in central Ubud. Great place, cool owners, very central – we drove a bike and even walking is very close to the main sights. The guys will give you great recommendations for food and places to visit – thanks to them we had fantastic experience of Ubud. And if you are not using airbnb.com for booking a place to stay, please check them out (there’s no affiliate program or anything, just sharing it cuz it’s so great, hehe). What websites do you use for booking hotels/apartments?